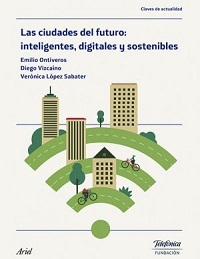 This work assesses the future challenges that cities around the world face and the need of digital transformation and of integration of traditional processes and infrastructures into new “intelligent” and “wired” processes, that make possible for urban nucleus to become Smart Cities. In order to highlight this change with real examples, the work includes a number of technological initiatives which have been implemented to improve urban planning and management. One of the main challenges cities face is population growth within a short period. According to the UN, the world population will reach 6,300 million in 2050, while in 2010 the number was just 3,600 million. In consequence, in the next years demographic pressure will exacerbate existing problems such as traffic jams, pollution or the lack of public service. However, as these challenges grow, new ICT based solutions emerge. Smart Cities include digital innovation (IoT, Big Data, Data Mining...) which enables to develop a better knowledge, assessment and management of urban processes. This means that the cities of the present are preparing themselves to face future challenges and to improve their inhabitant´s welfare.